With a restaurant name that reads EAT, I found it to be rather amusing and generic. Nevertheless, there I was to savour some of the fares they have the other day. 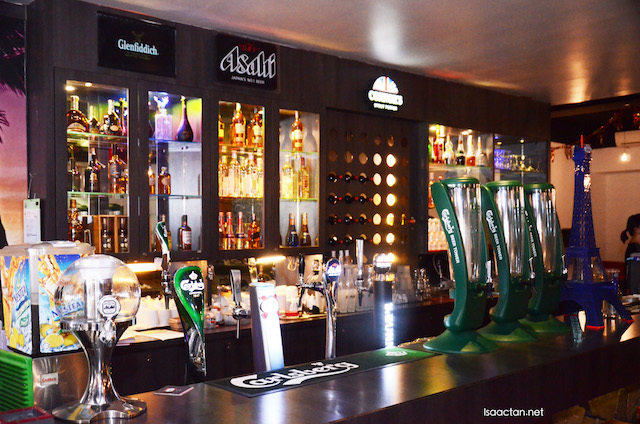 Located at Dataran Prima PJ, EAT restaurant has this bar-like concept, with comfy seats, in a dimly lit ambiance, serving Chef Daniel‘s proud culinary creations. 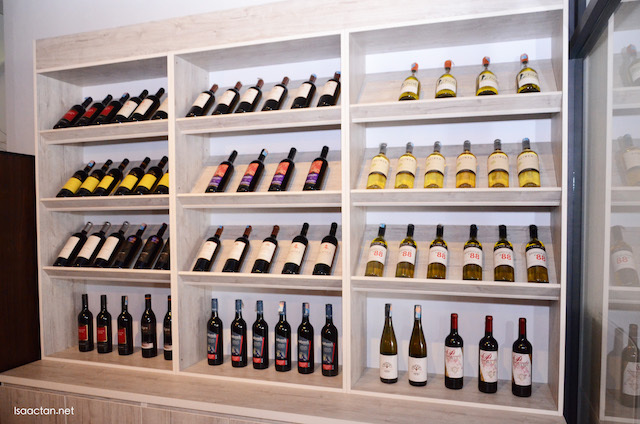 EAT Restaurant has a rather wide selection of wines choices to complement your unforgettable dining as well. Now I'm not one to gush, but I did find their food exceptionally memorable and tasty. Check out what we had that afternoon, below. We kicked off our meal with some appetizers in the form of EAT's Red and White Salad. Now I'm not a salad person, but this offering really whetted my appetite and I just could not have enough of it. 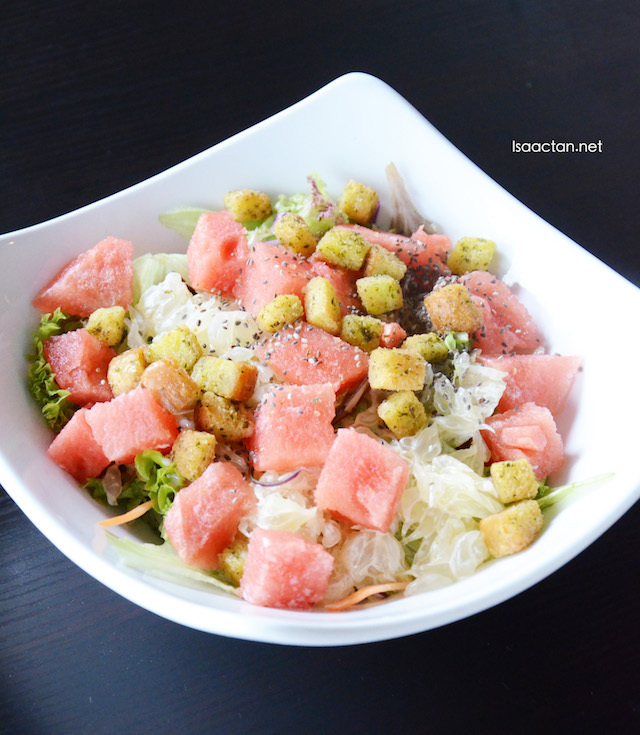 The salad is doused in light cilantro dressing, with generous amounts of pomelo and watermelon thrown into the mix of healthy mixed greens, crispy crouton and chia seed. Love how it all goes well together. Seafood Dynamite, what a name. 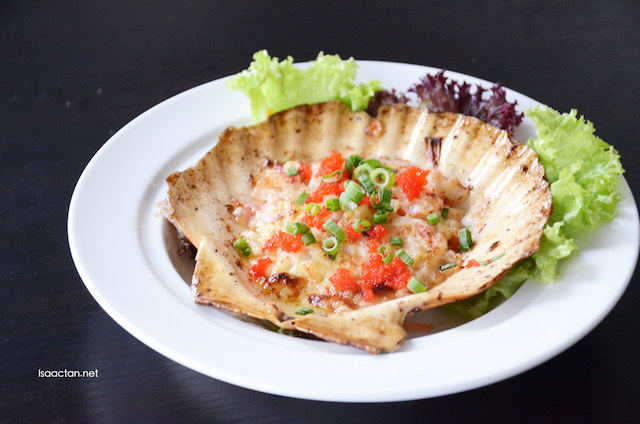 It did look its part though, with colourful crabstick, fish and prawn as well as butter mayo presented on this rather nice looking shell. Oh my, you have to taste this to believe it, it just went so well together. My favourite dish that afternoon would be the Crispy Bun dish, primarily because I love how they prepared the crispy on the outside, soft on the inside mantou buns. Taken together with the shredded tender porks that is stir fried with savory soy sauce teriyaki and onion, it hit the spot. 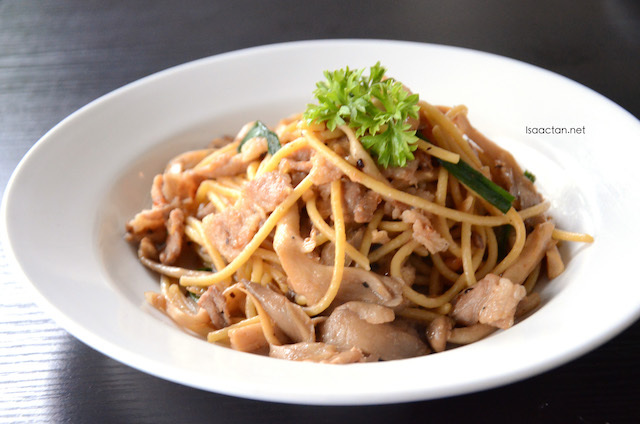 Enjoy some porky delight with the E.A.T Spaghetti. Chef Daniel cooked it together with sliced pork belly, salted fish, shimeji mushroom and dried chilli to create the perfect combination for a satisfying meal. Oh did I mention how savoury, and flavourful the sliced pork belly tasted? For the salmon lovers, do try out EAT's King Salmon with Dill Sauce dish. 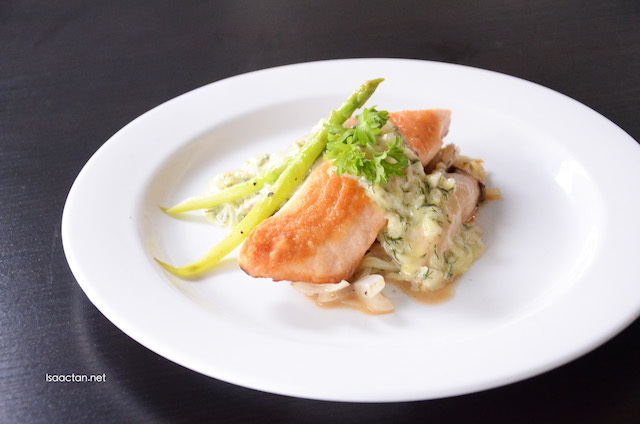 Cooked together with fresh ingredients like king mushroom, crunchy asparagus and sweet onion, the salmon was good. 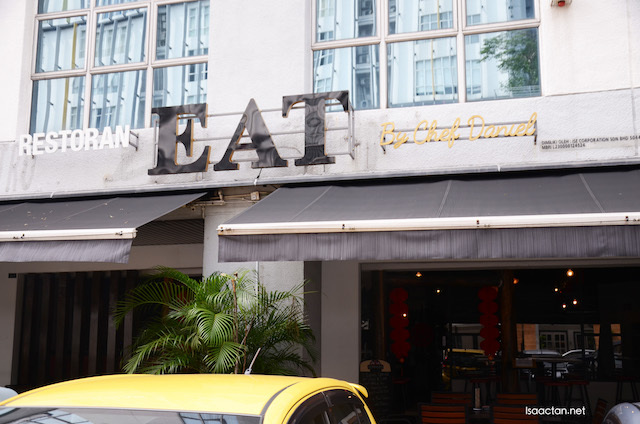 A gem of a place, EAT Restaurant is a must-try place if you're in the vicinity of Dataran Prima, Petaling Jaya, Selangor. Wow! Nice nice.. The food looks so yummy! Drooling! Seafood Dynamite so huge! 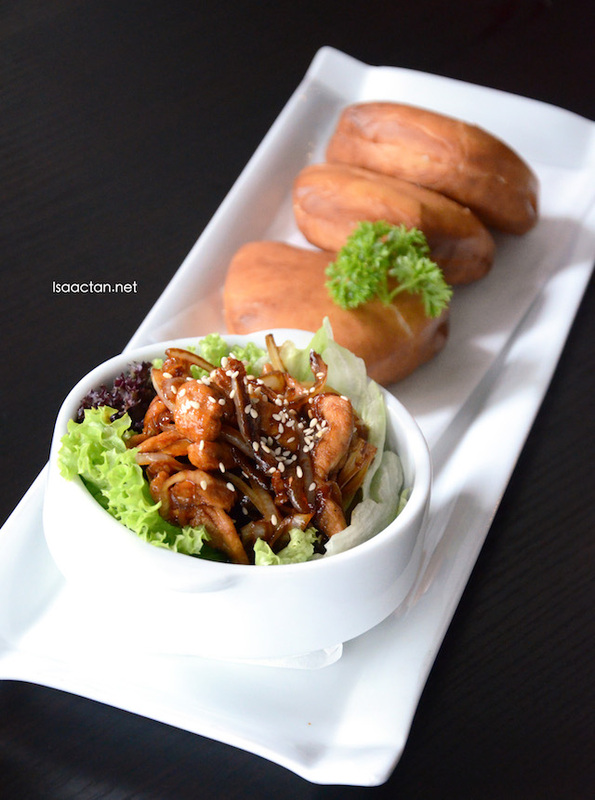 :O And i wanna try the Crispy Bun so badly! I'm quite a fan of watermelon salads. will try to pop by when i can. I admire how they present the seafood dynamic. Nice presentation. They do look very appetizing. 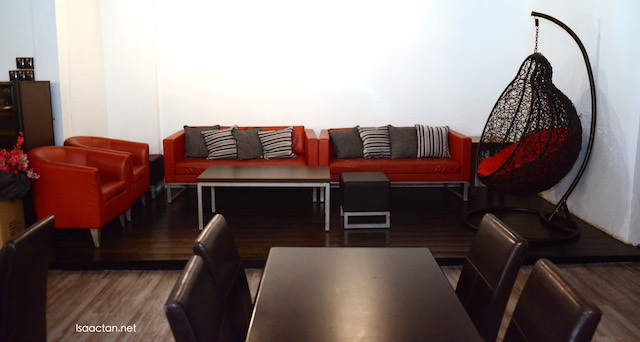 Comfy environment with interesting foods. Wish to try their Seafood Dynamite. Can't resist the food presentation. The food certainly looks very appetizing. The name of the restaurant is so on point too! I don't mind going for the white and red salad. It looks refreshing especially during hot season like now I don't have the appetite to eat meat. The options look good for me. Seafood and salads...and dang the seafood dynamite was playing in my mind again after seeing the insta and blog post on it.! thankfully its seafood...so I have reasons to head in!